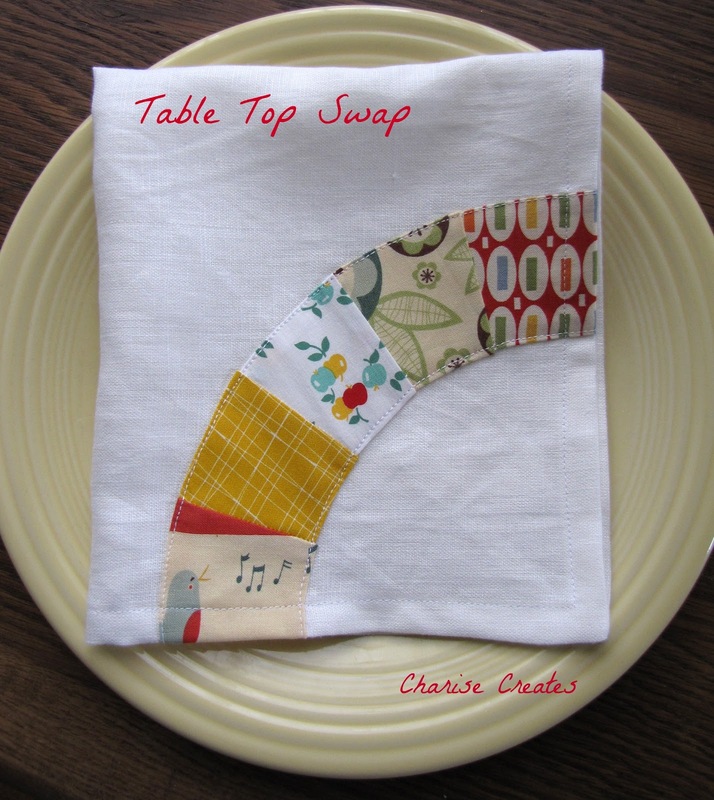 This afternoon while the kiddos are at school, I decided to work on napkins for my partner in the Table Top Swap. The incredibly talented Amy organized this lovely swap and after doing the Potholder Pass I had to do this one too. One down and three more to go!! Great idea! Love this Charise. I was out buying some coordinates for my partner today too. Hope to make my napkins this weekend. Beautiful, as usual. I just love your work. I awarded you the Liebster Award on my blog. Which is a way to let others know about blogs with less than 200 followers. Brilliant and just darling! I love it!